Here at REVOLUTIONARY DESIGNS we take your ideas to the next level. Allow us to develop the REVOLUTIONARY idea that will make a REVOLUTIONARY impact on your community. Whether you need a new brand identity, to build a new web presence or to establish an entire national marketing package, we will take you to the next level. Some say it’s a bold statement, we say, its just another REVOLUTIONARY idea. 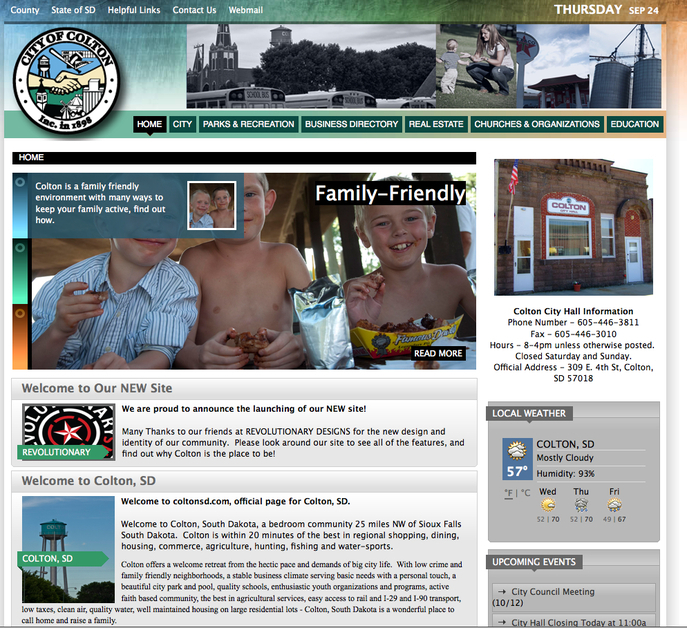 This is a screenshot from our latest website for the City of Colton, SD.